Yet again, YouTube makes amends to improve your experience with the site. This new update includes a feature of Explore. It is equipped with the abilities to help the users find new videos and channels on the site as they browse via their mobile. As reported by Tom Leng, this feature will pop up in the form of a tab for 1% of the iOS users, at the bottom of the screen. Tom Leng holds the title of being the site’s product management director and hosts the channel by the name of Creator Insider. 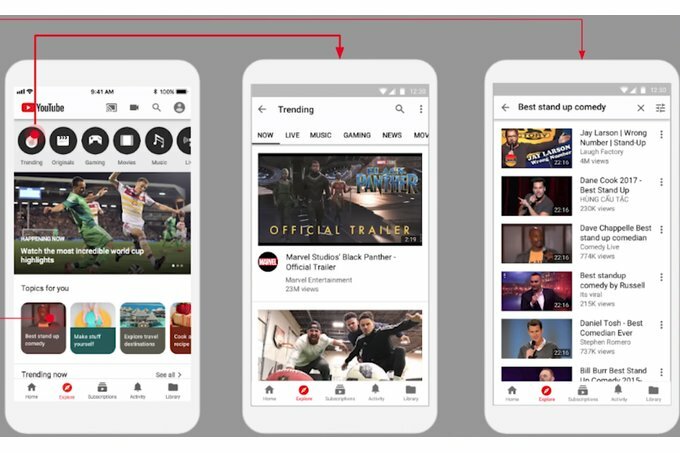 What "Explore" does is not that different from what the home screen has already been doing all along, that is, recommending the videos according to the viewer’s taste but with a broader perspective than that of the home screen. This feature is quite similar to the Explore tab offered by Instagram, that gives additional feeds along with the usual “for you”. Not only that, Twitter also has been giving the similar services that help the users get a wider view on all sorts of feeds, not necessarily by the people that they follow. This update is yet to be tested and declared a positive or a negative in relation to the YouTube audience, however, it will be an interesting addition to your daily browse through the site.